The Mancunian sun miraculously chose to put his hat on on Friday, in celebration of Gilly and Sam's wedding. 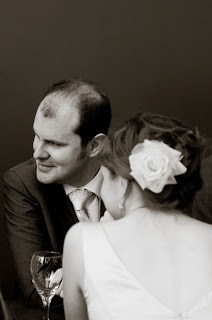 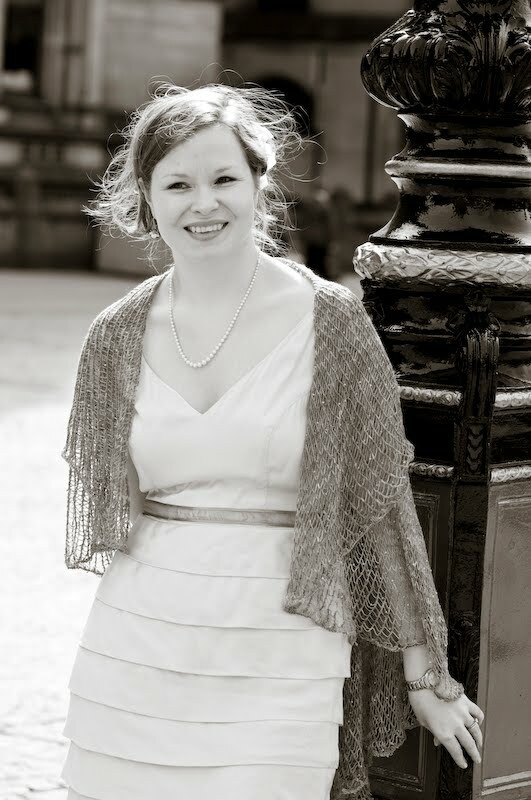 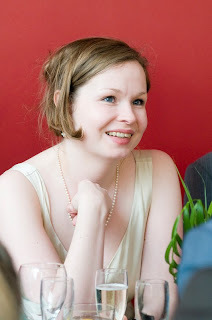 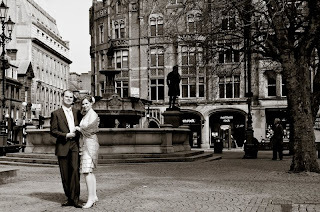 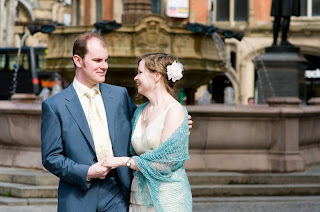 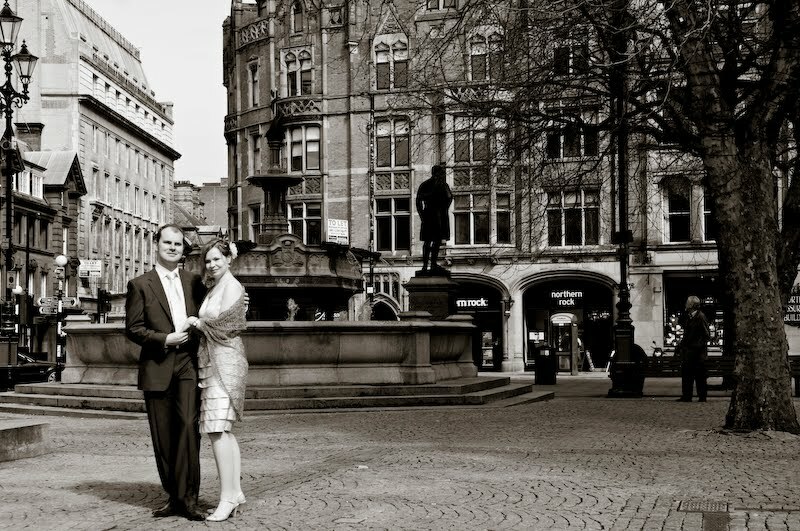 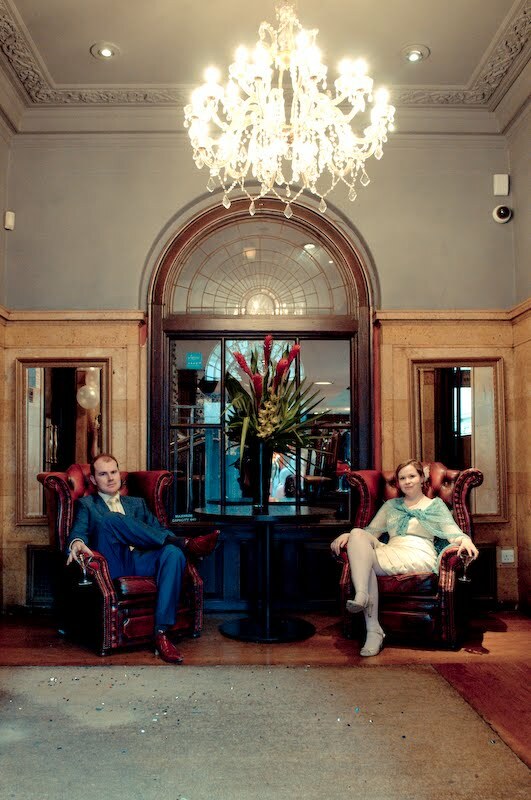 The wedding took place in the heart of Manchester, giving us the opportunity to play around with photographs in the victorian splendour of Albert Square. 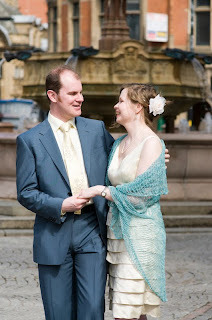 Gilly literally sparkled in the beautiful handknitted aquamarine shawl she crafted herself, whilst Sam dazzled in the most stylish pair of shoes to have set foot on Manchester's streets in a long time. 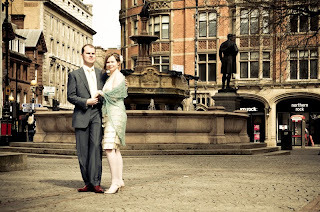 The wedding was relaxed stylish, and thoroughly them and it was a pleasure to celebrate with them and to wish them well as they step forth into marital bliss! Thanks - It was about the best entrance to a bar that I could have wished for! 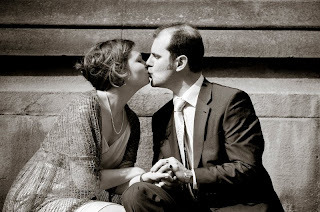 Awesome images, specially black and white first one.